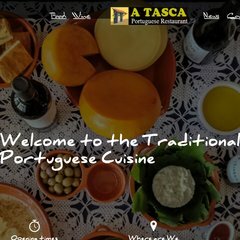 a-tasca.co.uk Contact Us - Portuguese Restaurant Corby - a-tasca.co.uk .. It is hosted by Compila Limited (England, Chislehurst,) using Apache/2 web server. A-tasca.co.uk's IP address is 195.238.172.125. PING (195.238.172.125) 56(84) bytes of data.